We endeavour to dispatch in-stock items the same day for next delivery wherever possible. Most orders are dispatched within 7 to 10 working days of receiving your order, we will notify you of any delay. If you are not notified of any delay and haven’t received your items within 5 days of the despatch period then please notify us immediately. Delivery charges are applicable outside mainland UK including Scottish highlands. In this case, we will contact you to arrange payment for delivery at cost price. Please check your goods for any sign of damage upon delivery. If you feel the goods may be damaged then please write ‘DAMAGED’ when signing for delivery. Alternatively, ask the delivery driver to wait while you check your goods. If the goods are found to be damaged then do not accept the delivery. If you believe you have been sent the wrong items then please inform us immediately. If that is the case then we will arrange for collection of the incorrect item and you will be sent a replacement. Your goods may be despatched to you without prior warning unless we are warned otherwise. Our couriers will re-attempt delivery once again the following day should there be no-one available to accept it the first time. If there is no-one to accept the delivery a second time around the items will be returned to us. In this case you will be called to arrange a delivery date and charged for re-sending the goods out. £17 for 1 parcel and an extra £10 for every additional parcel on top of that excluding VAT. After placing your order online you will automatically receive e-mail as confirmation. Thanks for purchasing through Trifibre Ltd.We aim to deliver goods of high quality and in good condition however, if you are not entirely satisfied with your purchase, we’re here to help. You have 10 working days to return or 7 working days to notify us of a non-conforming item from the date you received it. To be eligible for a return, your item must be unused and in the same condition that you received it. Returns on customised products such as bespoke flight and poly cases or custom foam inserts are not eligible for return. For non-conforming items please refer below. To return an item, your item must be in the original packaging. Please attach your proof of purchase to the item you are returning. If there are multiple items, please make a note on your proof of purchase showing the number of parcels in your consignment and attach it to one of the parcels. Failure to provide this may prevent or slow the refund process. Once we receive your item, we will inspect it prior to initiating the refund process. Full refunds on returns will be made subject to the returned goods being in an as new, re-sellable condition. Refunds on returns will be made within 14 calendar days from receiving the return. We will notify you by email when the refund has been processed. You will be responsible for arranging and paying for your own shipping costs for returning your item. Shipping costs are non-refundable. In the case of a non-conformance please inform your Trifibre Ltd sales contact. You may be required to provide images of the non-conformance where possible to assist your sales representative with providing you with the best possible solution.Trifibre Ltd will aim to either Replace, Discount, Refund or Correct (via spare parts or amendments) any non-conforming goods as quickly as possible and in line with your requirements. Discounts and Refunds will be credited within 7 calendar days of agreement to your Trifibre Ltd credit account. Alternatively, Very Displays will initiate the refund or discount to your credit card or original method of payment. Customers from inside the UK and European Union will be charged VAT at the current applicable rate. All other orders are VAT free when you provide a current VAT number. We will match any price quoted by other European case manufacturers for the same case or cases of equivalent quality. Some products within our in our range are covered by a 6 month, 5 year or LIFE guarantee (depending on the product type and category) and will be replaced or repaired if faults were to arise in this time. Trifibre Ltd will not take responsibility for damage where there is reason to believe that misuse, neglect or accidental damage has taken place. Guarantee repairs must be returned to us at buyers own cost. Please do not return goods without prior authorisation. 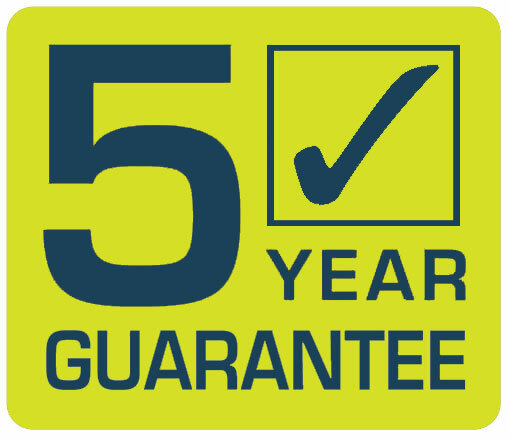 Guarantees on Flight Case hardware are covered by a 6 month guarantee. This guarantee does not apply, however, if the usability is restricted by improper use or externally occurring forces (particularly flight or transport damage, e.g. deformation, body breakages, scratches wear etc.) or by liquids. We advise that flight or transport damage should be reported to the carrier (e.g. rail or airline company) in order to gain compensation from them. Zeus, Eos, Leonardo and Pegasus cases are all covered by a LIFE guarantee. This guarantee covers the case shell only and does not apply to its fixtures and fittings such as wheels, handles, foam and catches. This guarantee does not apply, however, if the usability is restricted by improper use or externally occurring forces (particularly flight or transport damage, e.g.deformation, body breakages, scratches wear etc.) or by liquids. We advise that flight or transport damage should be reported to the carrier (e.g. rail or airline company) in order to gain compensation from them. 0H190, MAX540H245, MAX620H250, MAX620H340, MAX1100 for 5 years against faults or defects during use due to manufacturing defects. The PLASTICA PANARO SRL injection molding cases are guaranteed watertight up to 1 meter depth for a duration of 30 minutes (IP67) if properly closed with the seal intact and properly inserted into the cover, unless otherwise indicated. Within the limits permitted according to the law, the responsibility of PLASTICA PANARO SRL is limited to the case and not to its contents, the rubber foam or damages to persons caused by defective products. There exists no right to execute the warranty, for which all complaints of any type shall be rejected, if any repairs or interventions were made by persons not authorized by the manufacturer, or if the cases were altered, damaged, physically modified, mistreated, used improperly, with negligence, imprudence or inexperience by the purchaser or third parties, or if they were the object of an accident or erroneous use. PLASTICA PANARO SRL will decide to apply this warranty and replace or repair the faulty or defective case or part of the same, exclusively at its own discretion. Within the limits set forth by law: This warranty replaces any other warranty, expressed or implicit, including, but not limited to, implied guarantees of marketability and suitability for the specific purpose. Therefore by way of this warranty certificate all other implicit warranties and any responsibilities not directly derived from the contract are excluded and are not acknowledged. Within the limits set forth by the law, PLASTICA PANARO SRL shall not in any case be held responsible for any indirect, punitive, accidental or consequential damages, or any special types of damage, independently of the fact that the complaint for said damages is based on this warranty. Within the limits set forth by the law, in no case will the responsibility of PLASTICA PANARO SRL to the purchase, as set forth herein, exceed the purchase price of the product for which the fault or defect is being claimed. The purchaser, to exercise their rights, must report any faults or defects within two months of discovery of the same. In the case of replacement of the product or a component by PLASTICA PANARO SRL, the product or the single component will not incur a new warranty period, but will continue the warranty period based on the date of purchase of the original. details and follow the instructions under the “How to claim” section below to make a claim. 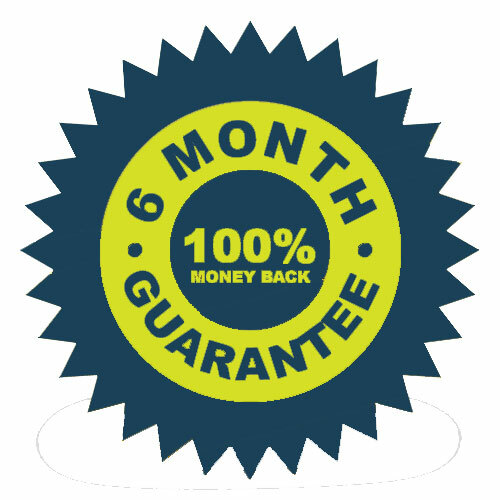 Trifibre Ltd provides a 6 month, 5 years and LIFE guarantee (depending on the product category) on the products you purchase in accordance with the conditions above for the first purchaser or person receiving the product as a gift, starting with the purchase date (guarantee period). To claim our guarantee, immediately inform Trifibre Ltd of any defect within the guarantee period. Trifibre Ltd will then decide whether the defect is covered by the guarantee. If the defect is covered you will be asked to send the product along with its proof of purchase to Trifibre Ltd. Trifibre Ltd will then repair or replace the product at its own cost and pay the return consignment costs. The sending costs are the responsibility of the purchaser. If the product is irreparable and is no longer in production it may be replaced with a comparable successor product. Incidental and consequential damage are not included under this guarantee. The guarantee is limited to the value of the product. If Trifibre Ltd agrees a guarantee case, claims from this guarantee lapse six months after they have been asserted but not before expiry of the guarantee period. This guarantee grants you exclusively the rights described above.